Hatfield, PA, February 2019. 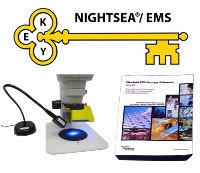 NIGHTSEA™ and Electron Microscopy Sciences are proud to announce the fifth annual KEY award of equipment and supplies to an individual entering a new faculty position at any academic institution worldwide. One researcher will be selected to receive a NIGHTSEA™ Stereo Microscope Fluorescence Adapter outfitted with two excitation/emission combinations, plus $750 in equipment or supplies selected from the full EMS catalog. Applications are now being accepted and are due by June 7, 2019. Read more here. Hatfield, PA, January 2019. This year's holiday contest was a huge success! We want to thank those who participated! We have a winner and answers to the weekly challenges! To see them, click here. Hatfield, PA, November 2018. NIGHTSEA™ and Electron Microscopy Sciences are pleased to announce that Dr. Pierre-Paul Bitton is this year's recipient of the fourth annual KEY Award for new faculty! He will recieve a NIGHTSEA™ Stereo Microscope Fluorescence Adapter outfitted with two excitation/emission combinations, plus $750 in equipment or supplies selected from the full EMS catalog. Read more here. Hatfield, PA, September 2018. Our 2019 Workshop Schedule is here! Take advantage of these educational workshops and expand your skill set. View the workshop calendar and easily plan ahead to join us. We offer many programs! Also, take a look at our new forum, where you can view informative Kirsch Notes and receive answers to questions. Feel free to log in and start a discussion! Announcing the 2018 M&M Winners! Hatfield, PA, August 2018. The DiATOME Poster Awards are competitively judged by independent M&M judges during the show. 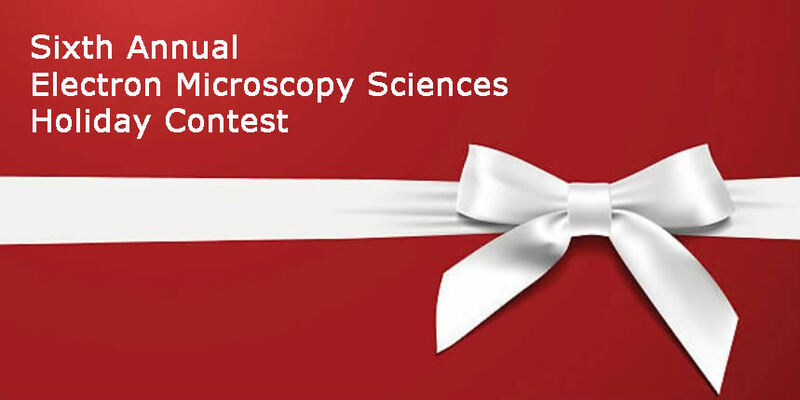 MSA Sustaining Member Diatome offers a grand prize and two runner-up prizes for posters illustrating the best use of work involving diamond knife sectioning (ultramicrotomy). First prize is a trip-for-two to Switzerland! Runners up receive Swiss watches! Watch for next year's M&M Call for Papers deadline for your chance to win these fabulous awards. Thank you to all who participated! Congratulations to the winners! Hatfield, PA, June 2018. Take a look at our new Academy website featuring details about the Academy, as well as all of its offerings. View the workshop calendar and easily plan ahead to join us and expand your skill set. Hatfield, PA, February 2017. We are pleased to announce that we have purchased Citifluor, Ltd., and have taken over the complete manufacturing and distributing of the Citifluor line of products. Feel free to contact us with any questions. Take a look at the Citifluor line! Hatfield, PA, August 2015. Our catalog is now available in virtual format! View our full line of products, easily turning the pages with a click of the mouse. Jump directly to the page you want or use the search feature to find your specific product. Hover over a product number for additional information and pricing. Then simply click to place your order! Access it here and take a look! Place your order in the next two weeks using the new virtual catalog and receive a free gift.